Engage Express is our fast and easy way of building your new intranet. From concept to launch in just 5 days using our award winning Engage intranet software, perfect for small businesses or creating a pilot for larger projects. 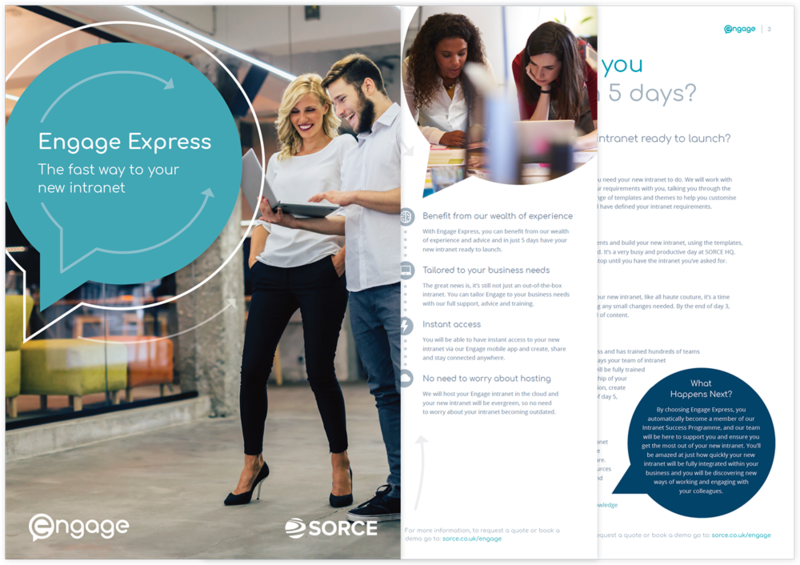 Download our Engage Express guide to discover how you can achieve your ready to launch intranet in just 5 days. To download our guide, simply fill out a few details opposite.